Tires from Vredestein are steeped in a rich history of excellence. The company has been providing rubber products since 1908, gradually shifting to focusing on creating high-performance tires and winter tires. Produced in the Netherlands, Vredestein continues to provide solid construction and superior performance in its stylish and effective tires. With a European flair, Vredestein tires are an elegant choice for your vehicle when you want both aesthetics and performance. If you are looking to buy Vredestein tires, Tires By Web has the selection you need. At Tires By Web, we understand that each customer has different needs when it comes to buying tires. That's why we offer a number of choices for our popular Vredestein tires. Vredestein has a large selection of high-performance tires. The Sportrac, Ultrac Vorti and Ultrac Sessanta tires are excellent choices for those looking for performance and class. These quiet running tires have exceptional grip and performance, so you can turn quickly and direct your car, truck or van with ease. Vredestein is unique among tire manufacturers because it has a number of tires designed specifically for vans. Vredestein Comtrac tires have distinctive elements designed to ensure excellent handling and traction for vans specifically. Tires By Web stocks summer, winter and all-weather Comtrac tires to ensure you can have the right traction for your van no matter the season. At Vredestein, style is almost as important as performance, so it's no surprise that the company offers tires designed for the look as well as performance. Vredestein Sprint Classic tires, for instance, provide a vintage car tread that combines modern technology for handling and grip with the look of a classic car. Finally, Tires By Web is dedicated to your safety, and as such we have a selection of winter tires from Vredestein. 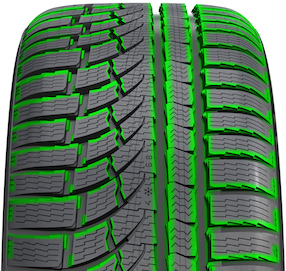 The company is known particularly for its quality snow tires, which feature unique tread designs that evacuate water and slush from the tire to protect traction. Vredestein winter tires are typically studdless tires offering high performance in addition to excellent winter-weather handling. If you are looking to buy Vredestein tires online, browse the options from Tires By Web to learn more about the different tires available from this popular manufacturer. With Vredestein tires, you can enjoy performance no matter the season, with the style and manufacturing expertise of one of Europe's top tire brands. Whether you are looking for Vredestein snow tires or want the versatility of an all-weather, high-performance tire from this leading manufacturer, Tires By Web has the selection you want. 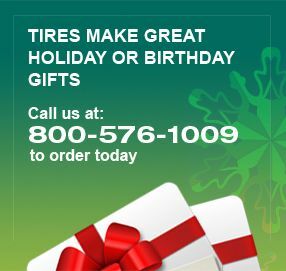 Browse our selection today, or chat with one of our customer service representatives for help finding the right tire. When you buy from Tires By Web, you get the same quality of Vredestein tires at exceptional prices, and always free shipping, so you have nothing to lose!